A friendly Goldfields welcome awaits you at Ibis Styles Kalgoorlie.Ideally located in the centre of town and a short drive from the airport, the hotel offers comfortable non-smoking rooms.Ibis Styles Kalgoorlie features 24 hour reception,a bar, restaurant,outdoor pool,guest laundry,room service during restaurant hours and complimentary parking. Air conditioned rooms feature free in house movies, 23 channels including Foxtel Sport,tea and coffee facilities and balconies with sliding doors. Guests staying at ibis Styles Kalgoorlie can discover the town's intriguing past - and its exciting present. Visitors can prospect for gold, wander the town's markets and shops, spend a day at the races, play some golf or explore Karlkurla Bushland Park. Ibis Styles Kalgoorlie offers guests a range of in-room amenities, which include the supremely comfortable ibis SweetBed, a work desk, air-conditioning, tea and coffee making facilities, an iron, WIFI access, a minibar and a TV with in-room movies. Featuring contemporary design and stylish décor, guest rooms at ibis Styles Kalgoorlie are welcoming and modern. 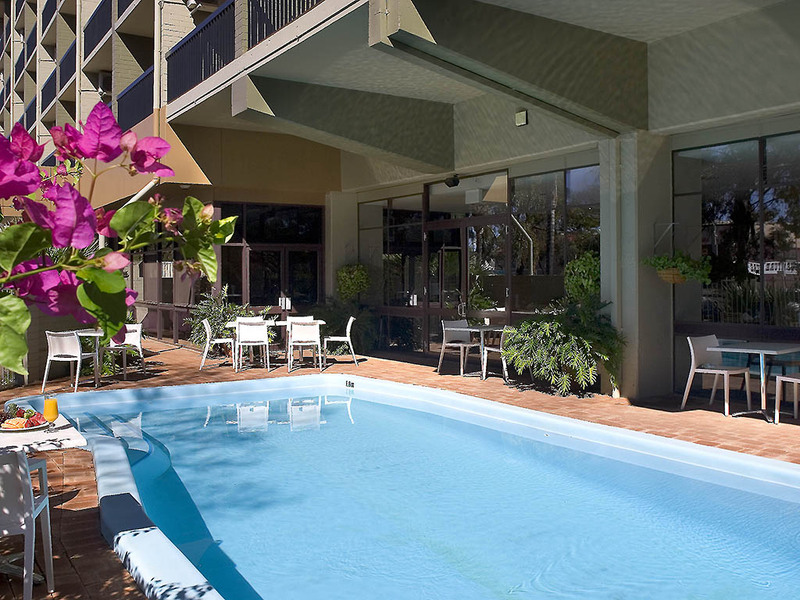 Guests staying at this impressive Kalgoorlie hotel can choose from a range of guest room configurations, which include Standard, Superior and Deluxe options. Tastefully appointed and spacious, each guest room features a variety of convenient in-room amenities, including a well-equipped ensuite, the new ibis SweetBed, a work desk, air-conditioning, a TV with in-room movies and a private balcony.